Have your holiday rental placed on multiple booking sites and synchronized automatically in just one click! Easiest and Most Effective Way to rent Your Holiday Property – Today! Forget all about wasting lots of money for advertising using traditional methods that yield limited, mediocre results. 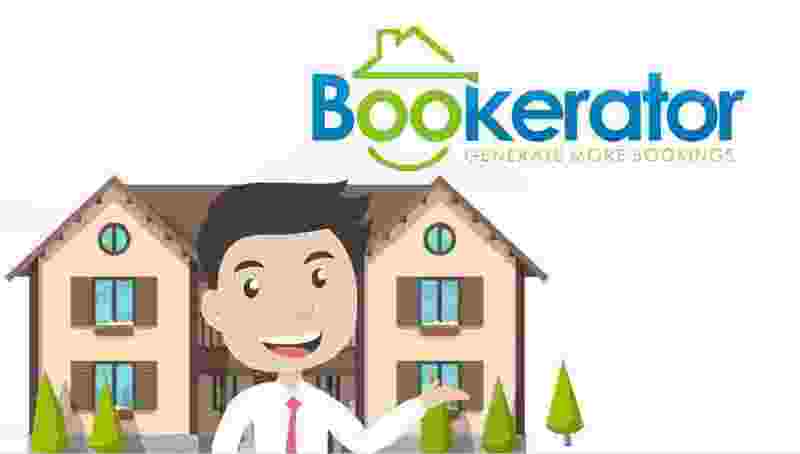 Bookerator is the perfect solution for holiday rental owners and managers looking to advertise their properties to the widest audiences available - without any complicated technical requirements and inflated prices. We are here to connect you with the best and most successful booking sites on the web. When listing your property with us, your holiday rental is going to automatically appear on all major booking sites. That's right - get more exposure and up to 10 times more booking requests by simply becoming a Bookerator's member! Not only that, but we'll also take care of synchronizing your calendar, booking and payment process - making the management of your holiday rental an easy, enjoyable process. Your advert is ready to appear! The Bookerator corporate team prides itself in offering the most diverse, professional, and effective range of services suitable for the needs and aspirations of all ambitious property owners, agents, managers and real estate agencies. Whether you are a proud owner of one single property you would like to offer to the market, a seasoned manager of multiple properties or an ambitious real estate agent with rental plans - we provide the perfect solution 100% tailored to your specific needs. and millions of customers looking for it on the booking websites - and that connection can be made with a single posting through Bookerator. Sounds too good to be true? Don't take our word for it - try Bookerator today and see for yourself! You can list your first property and take up to three bookings per month - completely free! When you receive a successful booking, a small percentage is charged. This percentage is paid by the booker as a mark-up on the rental price. If you choose to upgrade your account to include additional, premium features - you can always do so within minutes, anytime you want! Bookerator's corporate team looks forward to having a successful, mutually beneficial partnership with you. Utilize the power of more than 100 channels and over 500 millions monthly visitors - improve your conversions and profits! Only one registration and access all of your reservations on one screen. Bookerator works for you 24/7 to make your experience quick, easy and effective as possible! You'll get your own professional website with a synchronized calendar and accommodation details. You retain absolute control in choosing on who stays at your property. All it takes is a single click for your accommodation to be published on more than 100 major booking websites. Forget all about the hassle of manual updating your bookings. All of the booking websites you have selected are updated automatically in real time. And best of all, you can start absolutely for free!